Sometimes, it a good thing to try something new. 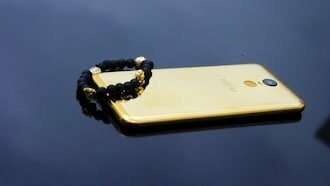 And that is exactly what tecno mobility is trying to do, as the company introduces Pouvoir 2 Pro with 18-Karat Gold Plated Luxury material. The Pouvoir 2 Pro 18Karat Gold is the first device from Tecno to be given such taste and built quality. 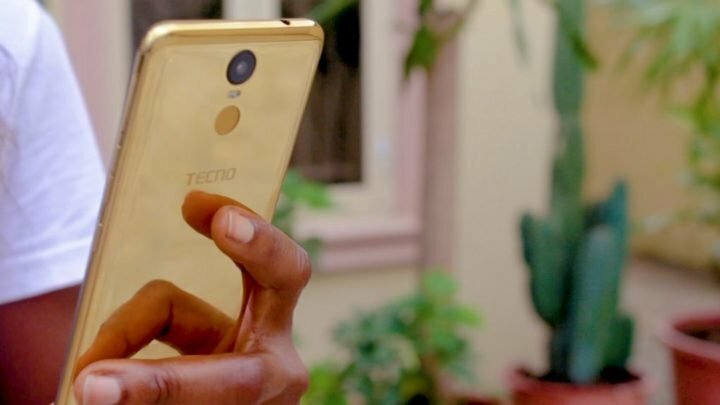 So what is the Tecno Pouvior 2 Pro 18Karat Gold edition all about? First, you get a complete 18Karat luxury body, which add to the device durability. The back has some patterns running through it that gives it a distinct and unique looks different from the standard plastic Pouvoir 2 series. Despite using the new luxury and premium taste, the Pouvoir 2 Pro device is still retained the huge 5000mAh battery seen on it standard siblings. Interestingly, Tecno Pouvior 2 Pro 18Karat Gold edition will ship with a dedicated security App lock, which can encrypt all user app, and protect them from unauthorized access. Other specifications of the Pouvior 2 Pro 18Karat Gold edition remains same. 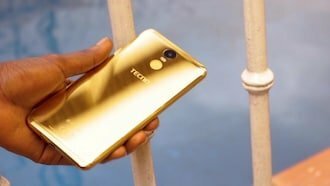 The Tecno Pouvoir 2 Pro 18K Gold Edition will ship around October/November to Tecno smartphone markets around the world, starting from Nigeria. As for the pricing, no word has been giving.